Fronting is the practice of allowing another individual to be named on your insurance policy for the purposes of being legally allowed to drive their vehicle or another individual's vehicles whilst being covered by an insurance policy. Although many people might not consider it to be so - many insurance companies are now considering the practice of fronting as being potentially fraudulent and as a direct consequence some insurance companies are now beginning to refuse payouts on insurance claims for this very reason. What Are The Reasons for Making Fronting Fraudulent? The main reason for making this practice illegal - and therefore fraudulent - is the high number of drivers who have been disqualified, have points on their licences or have criminal convictions against them for motoring offences. Many of the insurance companies who deal with motor vehicle insurance do so on the understanding that those individuals taking out insurance with them are being truthful and giving them all of the pertinent facts as to their driving histories. However in some instances - notably when named drivers as for another driver to be added to their insurance policy - this is not always true. Indeed insurance companies will often ask for the name, address and date of birth of the other named driver, will ask as to their driving history and then add them to the policy. When this happens - again what we call Fronting can take place - and the insurance company may find they are insuring a driver who is not road legal or indeed has had sufficient number of points against them to render them a liability. 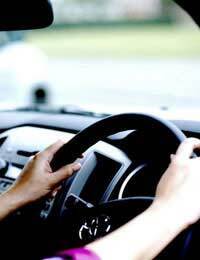 As a named driver you may well be allowed to drive the vehicle of the insurance policy's main policy holder. For example you may be listed as an additional driver on your wife's car and therefore can confidently drive it knowing that if you are involved in an accident you are covered. However the insurance companies are now clamping down and re-writing their insurance policies to close this potentially damaging loophole. In essence what insurance companies are doing is this: if you are a named driver you may add another driver to your policy if he or she is a 'young additional driver'. This means that you may add your son or daughter to your policy if he or she is of a designated age (designated by your insurance company) but no one else. There is a downside to this change in the policies however which presents - or may present - considerable financial penalties to experienced drivers. If you, as an experienced driver, wish to have a 'young additional driver' added to your policy then the cost of your premiums may increase dramatically. As we have already mentioned the cost of premiums for existing policy holders may rise dramatically if they wish to include a 'young additional driver' on their policy. This can mean substantial price rises and does mean that whereas previously the named driver was the person upon the insurance policy was based - the revised policy is now based on the experience, no claims bonus and other factors relating to the 'young additional driver'. What this effectively means is that if you have two individuals within the same household driving the same vehicle they both must have their own insurance policies in order to do so. For more information on 'fronting' and how adding additional drivers to your policy may dramatically affect your insurance policy you should contact your insurance provider and enquire as to what changes they are making to their policies. This is especially important if you already have insurance, including an additional named driver, which has been paid for in full for a period of twelve months.